For scholars, there is no bigger coup than finding new information that offers insight to a writer’s processes, character construction, or plot development. Even if one is working with a lesser known writer, there is joy in discovery. 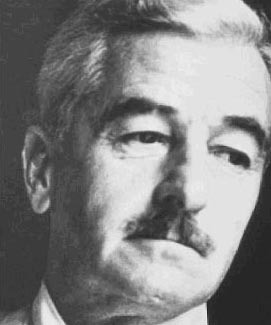 To find previously unknown information for an author as popular and extensively researched as William Faulkner is akin to finding a gem in a junkyard. Sally Wolff-King is a professor and Southern literature scholar at Emory University. She appears to have found the ledger that Faulkner used as a model for the famous scene in Go Down, Moses in which the character Isaac McClassin opens his grandfather’s farm ledgers and discovers his family’s slave-owning past. Many of the character names, used in this and other works, seem to have come from this ledger as well. The diary/ledger belonged to Frances Terry Leak, a plantation owner. Leak’s great-grandson, Edgar Wiggin Francisco Jr. was a childhood friend of Faulkner’s, and the two men remained friendly throughout their lives. Mr. Francisco’s son, now 79, recalls that Faulkner was a frequent guest in their home and had a keen interest in the ledgers. Character names that appear in both the ledgers and Faulkner’s novels include Moses, Isaac, and Toney in Go Down, Moses, Caddy/Candace (Candis) and Ben in The Sound and the Fury and Old Rose, Henry, Milly, and Ellen in Absalom, Absalom!.